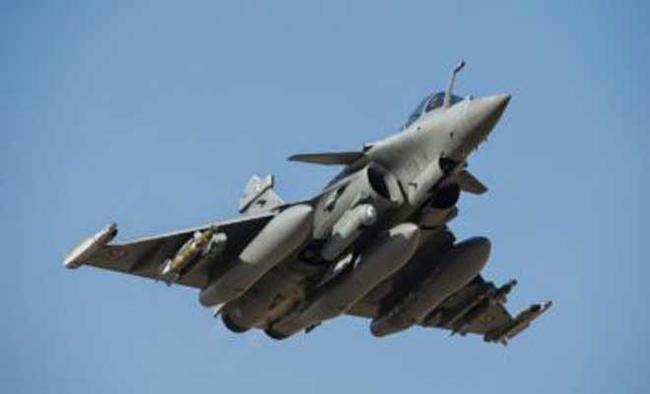 New Delhi: Alleging a "fixed match" between the Modi government and Rafale maker Dassault Aviation, the Congress on Tuesday said the "blatant corruption" in the fighter jet deal cannot be hidden and demanded a Joint Parliamentary Committee (JPC) probe into it. "The nation does not need doctored explanations but fair investigation. A fixed match between the BJP government and Dassault and public relation stunts of (Prime Minister Narendra) Modi and (Dassault Aviation CEO) Eric Trappier can't hide the blatant corruption," said Congress spokesperson Randeep Singh Surjewala. His comments come in the wake of Trappier's remarks in an interview to an Indian media outlet, rubbishing Congress President Rahul Gandhi's charges of "lying" and asserting that the intergovernmental deal to buy 36 Rafales was "clean". Trappier also said that the company itself chose Anil Ambani as offset partner for the deal and clarified that it had 30 more such partners other than Reliance. Dubbing Trappier's interview as "dictated" and "manufactured lies", the Congress said the "Rafale scam" cannot be suppressed. "Mutual beneficiaries and co-accused's statements hold no value. Beneficiaries and accused can't be judge in their own case," said Surjewala, daring the Modi government to submit itself for a JPC probe. Leading the attack on the issue, Gandhi has accused Modi of corruption and Trappier of lying. Alleging "huge corruption", Gandhi had claimed that the deal was "done by Modi to give Anil Ambani Rs 30,000 crore".The Congress has earlier too rejected Dassault's justifications of the deal, saying the company will say whatver the Modi government wanted it to say.